New Delhi, Dec 5: Pakistani music artists Shafqat Amanat Ali and Salman Ahmad on Monday condoled the sudden demise of veteran actor-filmmaker Shashi Kapoor, remembering how he believed in peace and harmony among neighbours. 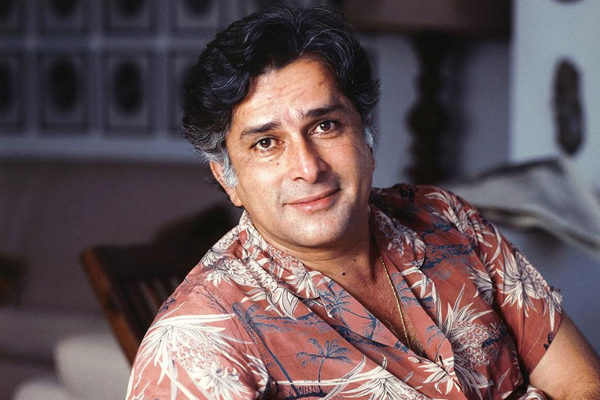 Shashi Kapoor -- who earned the epithets of 'the charming man' and 'the brave producer' -- died at Kokilaben Dhirubhai Ambani Hospital in Mumbai at age 79 after a period of hospitalisation. "At a loss for words as veteran actor Shashi Kapoor passes away. Spent countless hours watching movies of this legendary and charming actor while growing up. Rest in peace, sir," Ali tweeted. The younger brother of late Raj and Shammi Kapoor, who were both actors par excellence, Shashi Kapoor started his tryst with acting at the age of four, with plays directed and produced by his father Prithviraj Kapoor. The Kapoor dynasty has a house in Peshawar, Pakistan. It was constructed between 1918 and 1922 by Dewan Basheswarnath Kapoor, the father of Prithviraj Kapoor, the first member of the family to enter the film industry. The Kapoors shifted to India after the 1947 partition. Pakistani sufi rock band Junoon's frontman Ahmad also posted: "A very kind man and a great actor. I met Shashi Kapoor in Karachi on the set of the film 'Jinnah'. He was co-starring with Christopher Lee. Shashi always believed in peace and harmony among neighbours. Free at last. (RIP)"
Shashi Kapoor started acting in films as a child in the late 1940s. His best known performances as child artist were in "Aag" (1948) and "Awaara" (1951), where he played the younger version of the character played by his elder brother Raj. He made his debut as a leading man in the 1961 film "Dharmputra", and went on to appear in more than 150 Hindi films. Shashi Kapoor, whose nuanced acts in memorable films like "Deewar", "Satyam Shivam Sundaram", "Trishul" and "Kabhi Kabhie" captivated Hindi film buffs, was married to English theatre actress Jennifer Kendal. He had three children -- Kunal, Karan and Sanjana Kapoor.